Feel free to take a peek and share with anyone in your organization who may benefit. I’d love to see this help even more shelters and rescues make an impact. 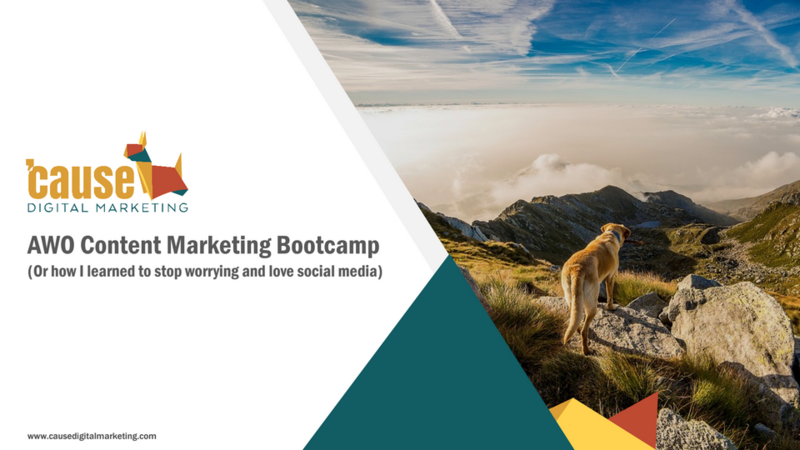 Download the AWO Content Marketing Bootcamp presentation here. If you’d like, I’d also be happy to send anyone free copies of the workbook. Just email us on the ‘cause Digital website and we’ll send you it.